Another Apple product introduction, another chance to ignore the obvious. In these uncertain times, it’s nice to know that some things will always be true. Donuts will always be delicious, it’s enjoyable to watch Benedict Cumberbatch in pretty much anything, and John C. Dvorak won’t understand a single thing Apple ever does. John Dvorak, on the other hand, solves a very real thought problem: What job would a blob fish take if it achieved some moderate form of sentience and learned to slap at a keyboard with its fins? I have no idea what Apple is trying to do with its MacBook Pro lineup. Look, did you ever have any idea what Apple was doing about anything? Deliberately misunderstanding Apple is who you are, John. You couldn’t change if you tried. Not that we’ll ever know for sure since you’re clearly not trying at all. …the odd idea that the Escape key and ALL the function keys are useless and could be eliminated seems like a stretch. If it seems like a stretch, maybe you should actually look at the darn thing and realize that’s not what Apple’s doing. Getting Dvorak to not just sit down and start typing when it comes to Apple is the real stretch. The Escape key and any other keys will still be there if they’re needed (and can always be returned by holding down the Fn key) but the whole point of this is not relying on fixed keys that are often inappropriate. Look at what you get with the Calculator app. Just look at those adorable and relevant keys. Computer users are used to the existing keyboard layout; why drastically change it when nobody asked for it? Why invent things that not everyone has thought up? The wheel and these stone tools should be good enough for anyone! Having just banged out a couple of paragraphs that willfully misunderstand the MacBook Pro, we’ve now reached the “just making stuff up” portion of the column. Has anyone said this? The Macalope even thought that was a dumb line. …the only reason to eliminate the top row of the keyboard is to make room for the Touch Bar. The company could have made a touchscreen like everyone else, but no. 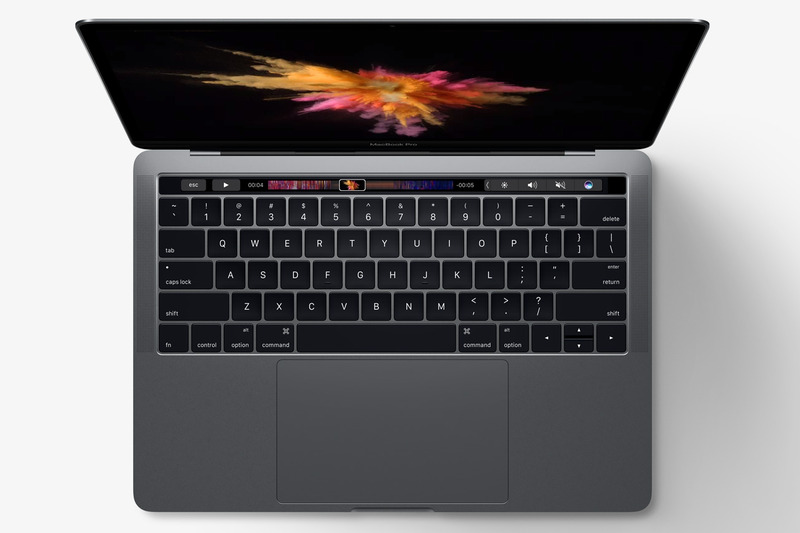 This Touch Bar, along with a huge trackpad, seems to be a stop gap and an obvious and blatant compromise. Dvorak has apparently not used a touchscreen Windows device or he would not be throwing around terms like “blatant compromise”. 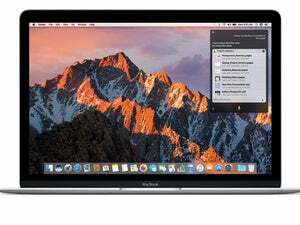 To date, no one, not Apple and certainly not Microsoft, has made an operating system that both works seamlessly with touch and mouse-and-keyboard input. Apple has decided to keep the two separate. Maybe it’s not the total solution but it’s better than the two-headed troglodyte that is Windows 10. I’m pretty sure these MacBooks are not what the Apple community wanted. But I’m generally wrong about Apple (there, I’ve said it), so it’s possible they will be a rousing success despite what I consider to be serious drawbacks.